There are so many benefits to traveling and taking vacations that we often romanticize the experience. If you love to get away and explore new places, you often gloss over some of the negative aspects. But one thing I’ve learned in the past ten years of traveling and helping others travel is to always expect the unexpected. Being informed and prepared is the best guard against unpleasant surprises. International travel has some physical side effects that you may not be aware of if you don’t travel often. 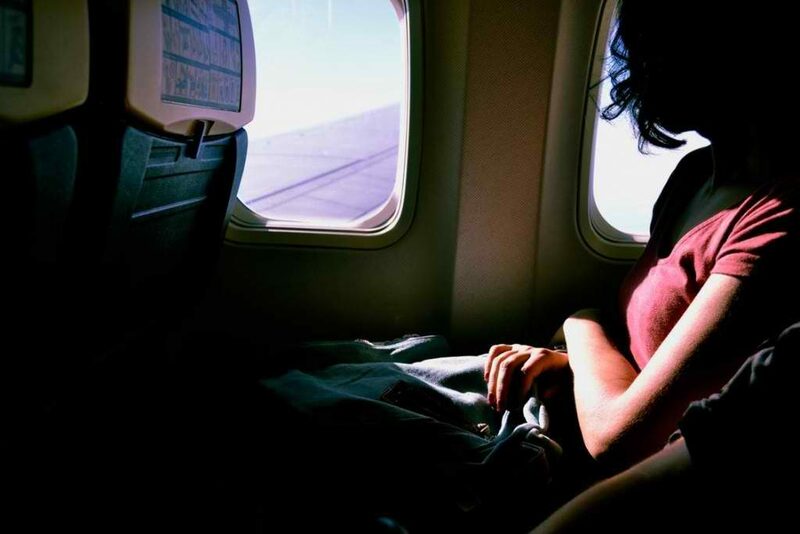 The airplane cabin pressure can wreak havoc on your insides and the dry, recirculated air can cause sinus and respiratory issues. Different cuisine and dietary habits can also present problems and sleeping, which is so important to our health, can become difficult while traveling. Here are some simple tips to make your experience more comfortable. 1) The most important advice is to stay hydrated! Drink twice as much water as you normally would the day before, day of and day after flying. Trust me, your body will thank you and cause you much less grief. Have you ever noticed how a water bottle expands and contracts during your flight? Well, that’s what is happening to your body too and it can get uncomfortable. Along with staying hydrated, I personally never fly without having gas pills available to me. These little babies can be a life saver if you start feeling that pressure in your abdomen. 2) Most of us have what would be considered a fairly standard diet. In other words, you eat much of the same foods or types of food most of the time. When you travel, you’re trying different foods and drinks than your system is used to. This could cause what we term “traveler’s stomach” and exhibit in numerous ways that we won’t discuss here! 3) Sleep can be something we take for granted. However, when you travel and are sleeping in a different bed, you may find sleep to come less easily. It could be the bed is not comfortable, the pillows aren’t what you’re used to or there are different noises that keep you awake. If your bed or pillows are the problem, ask the staff in the hotel or on the ship if there is something they can do to help. Often beds have foam toppers that can be added or removed, depending on what firmness is most comfortable for you and the same goes with pillows, always ask if they have the type you prefer….foam, down, firm or soft. The staff might even change your room if they have different bedding options available in different rooms. When you find yourself in a noisy environment, having earplugs along can be a lifesaver. Again, you can ask for a change of room if necessary or you can try an over the counter sleep aid. You might also consider bringing along a portable white noise machine, that gives you a constant sound that drowns out the unfamiliar sounds that might keep you awake. So if you love to travel and explore like I do, just be aware of some of these minor inconveniences. If you know what to expect and you’re aware of how your body reacts to flying and dietary changes, you can be better prepared to help yourself through the bumps.